Welcome to the fifth Travel on a Shoestring Carnival for Europe. Here you’ll find European travel tips for those without a lot of money to spend. 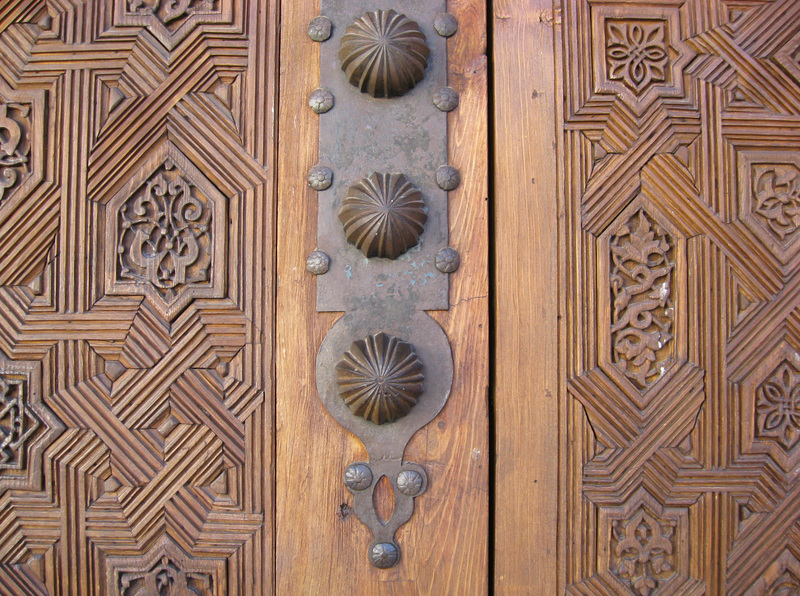 Photographic inspiration this week comes from yours truly, one of the many intricate details I captured (in this case, a carved door) in June at the Alhambra in Granada, Spain. Just a hop, skip and a jump away is lovely Lisbon. Pennypinchers will welcome Kristie‘s advice on Where To Stay In Lisbon, Portugal posted at Norway – An American In Oslo. If you find yourself on your last krona before flying home, Anna Etmanska gives the lowdown on overnight options at Stockholm’s Arlanda airport in Shopping and Sleeping Part 2 at Budget Trouble. The Amateur Traveler updates us on what’s new from the road in England and Greece Revisited – Episode 138. Carter Dougherty outlines how to get away from the city for a perfect Riesling in Frankfurt, Wine and the Rheingau at IHT Globespotters Blog. If you’d rather drink with your eyes, take a tip from Sheila Scarborough and head to Belgium to enjoy Artful color: Carpet of Flowers in Brussels at Perceptive Travel Blog. EuroCheapo Blog has had some great guest posts on getting around Europe cheaply on trains. You’ll want to check out both European rail passes: Read this before you buy and France Night Train Alert: €15 couchettes through July 14. Wrapping up, it seems that everyone’s got Paris on the brain. NYT travel writer Elaine Sciolino presents Hidden Gardens of Paris and Budget Travel’s This Just In had an article by Laurie Pike on Affordable Europe: In Paris, Secret Spots for Visitors. When you’re knackered and longing for a taste of home, Joe Schmid of the IHT Globespotters Blog can help you out with his article Parisburgers: Finding the Great American Meal in France. Thanks to everyone for contributing! If you’d like to see your post on budget European travel in August’s carnival, submit using our online form. Next week, we’ll be back to North America, Central America and the Caribbean. Submit your posts for that carnival before next Wednesday!